You can track my web imprint here, with a syndication of all aggregate XML content created by yours truly packed into one netvibes tab. I have the esteemed honour of being interviewed in Social Media Today #26. I discovered the Social Media Today podcast in May of 2007 while researching the term “Social Media Optimization”, a label coined by Rohit Bhargava from Ogilvy Public Relations. He gave a good interview about the topic, and I was hooked. At the time Maggie Fox was at the helm as interviewer, but she recently passed the torch to Douglas Walker, a marketing blogger and entrepreneur among many many other things. Doug promised to cut out all the ums and ahs and make me sound smart. I haven’t listened to the podcast yet, so let me know what you think in the comments. Listen or download SMT#26 now! Does anyone know any other training courses on social media like the ones found on xTrain.com? 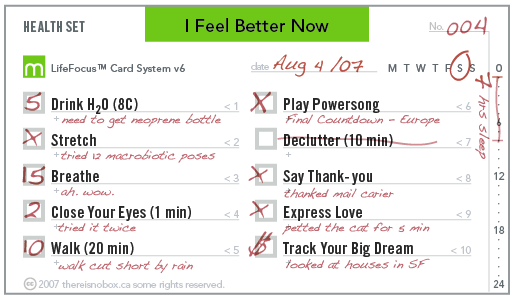 Free editable downloads of the most popular do-it-yourself-help system in Canada! Read my creative inspiration blog, 1%, a co- collaboration with many fine creative bloggers. MacBook Air – Hit or Miss? Test out BlogRush.com to grow your audience.